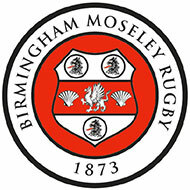 We have also built a strong relationship with Birmingham’s premier Rugby Club ‘Birmingham & Moseley RFC’ steeped in history and strong community links we are delighted to be a key sponsor. Being located just a few miles from our head office in Kings Norton it was the obvious choice to use their excellent facilities for two of our recent customer events. It’s well worth a visit and we wish them all the very best for the new season.